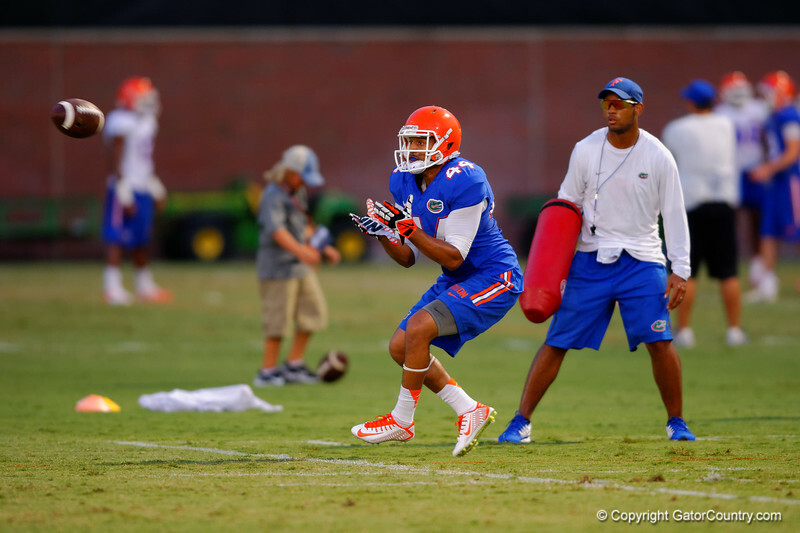 Florida WR Roger Dixon watches the ball in for the catch during a practice drill. August 7th, 2014. Gator Country photo by David Bowie.